A virtual environment offers a way to extend the utilization of on-site resources. It’s a common solution on most business networks thanks to the ease of using VMWare and Microsoft’s Hyper-V virtual machine (VM) software. However, when it comes to resource monitoring, the extra layer of traffic that is inevitable with VM setups can make resource mapping complicated. Once your business grows, keeping track of that VM solution can quickly get out of hand. 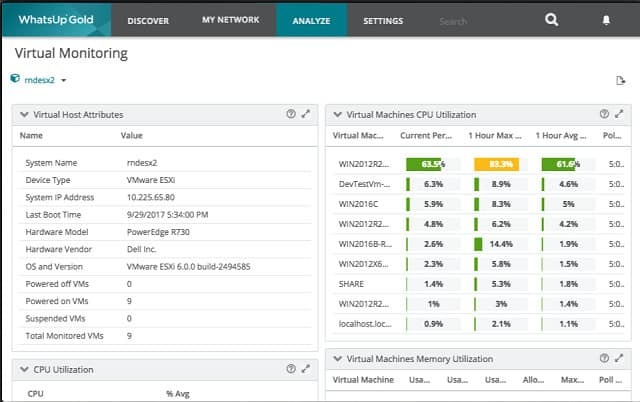 Virtual machine monitoring helps you stay on top of resource issues when allocating resources from one machine to another. Network traffic issues are inevitable when making remote resources available instantly and locally. You need to track demand and adapt resources in order to keep network users happy. Capacity planning is a key part of VM management and monitoring utilization helps you stay ahead of demand and keeps response times low. SolarWinds VM Monitor (FREE DOWNLOAD) – A free tool that monitors VMWare and Microsoft Hyper-V virtualizations on Windows Server. SolarWinds Virtualization Manager (FREE TRIAL) – A paid tool that runs on Windows Server and monitors VMWare and Hyper-V, Amazon EC2 and Azure. Paessler PRTG Network Monitor (FREE TRIAL) – A wider network, server, and application monitoring suite that includes specialized monitoring functions for Citrix Xen, Microsoft Hyper-V, VMWare, Parallels Virtuozzo Containers, and Amazon EC2. 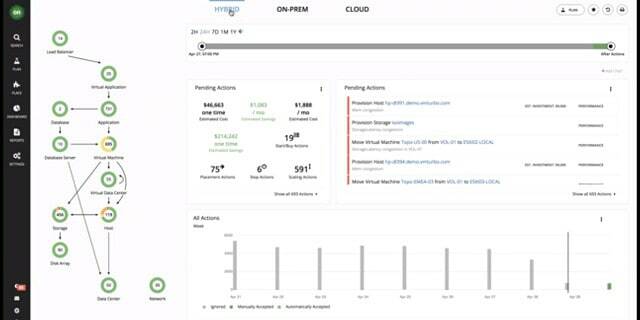 LogicMonitor – A Cloud-based network monitoring service that includes coverage for VMware vCenter, ESX/i, Microsoft Hyper-V, and Citrix XenServer. Veeam One – A resource monitoring tool that monitors all of the hardware, software, and services that contribute to VMWare vSphere and Hyper-V virtualization. Quest Foglight – A virtualization monitor for Citrix Xen, VMWare, and Hyper-V that runs on runs on Windows, Linux, and Solaris. 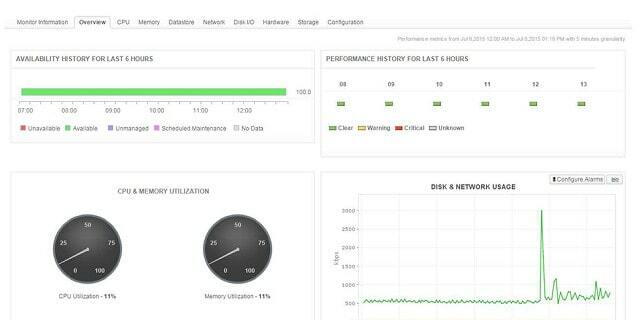 eG Enterprise – A monitoring system for VMware vSphere, Citrix XenServer, Microsoft Hyper-V, Oracle VM Server, Red Hat Enterprise Virtualization, AIX LPARs, Solaris Container virtualizations. Manage Engine Applications Manager – Covers Microsoft Hyper-V, Microsoft Azure, Microsoft Office 365, VMware ESX/ESXi, VMware Horizon View, Citrix Xen, Docker, Amazon EC2, Amazon RDS, and Cloud-based OpenStack operators. Aptare Virtualization Manager – This tool monitors VMWare, Amazon Web Services, Microsoft Azure, and OpenStack. WhatsUp Gold Virtualization Monitoring Add-on – An addition to the core WhatsUp Gold network monitoring system. 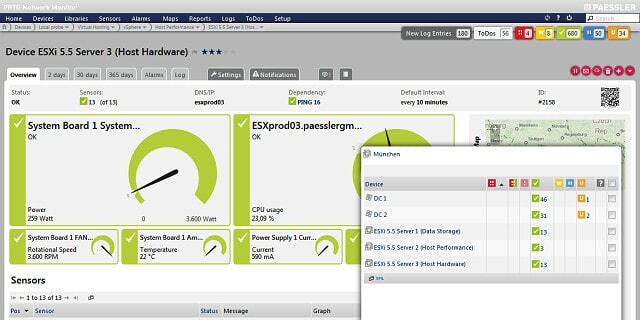 ESXi Embedded Host Client – A free ESXi client monitor provided by VMWare. Turbonomic – This tool monitors onsite VMware, Hyper-V, and XenServer implementation and offsite Cloud resources. 5Nine Manager – This tool focuses on monitoring Microsoft VMs built with Azure and Hyper-V. The integration of cloud-based resources is a standard feature of business systems nowadays. Traditional virtualization methods formed the foundation of communication between onsite terminals and offsite application and file servers. So, getting a VM monitoring tool that recognizes your servers whether they be onsite or in the cloud is an essential requirement for any system tool. 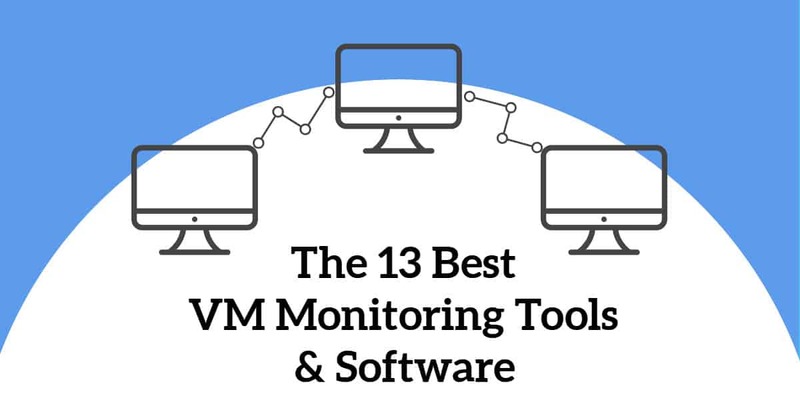 We have put together an analysis of the best VM monitoring tools and produced a list of utilities that you should consider when shopping for software. These VM monitoring tools are industry leaders and will save you time when tracking your virtual environment. The following section gives you information on each of these VM monitoring tools. This free tool from SolarWinds is everyone’s starting point for quality VM monitoring. This is not a comprehensive system; its functionality is limited to monitoring only one server. However, that configuration describes many small business networks, so this tool might still fit your needs. The VM Monitor prioritizes two key factors of server performance: CPU utilization and memory usage. You get a quick summary of these two statuses on demand. The screen uses color coded status levels, showing yellow for warnings and red for critical conditions, making performance metrics easy to understand. You get a count of each of these status levels for CPU and memory usage in the summary screen. Other performance factors that this handy tool will cover include network usage, the number of configured VMs, and the number of VMs running. Apart from the on-demand updates, the VM Monitor runs continuously once you start it up. You can minimize it to the system tray in order to devote screen space to other monitoring dashboards. The review of resources can be filtered to only include active VMs. The Warnings and Critical conditions counted in the summary screen refer to performance thresholds specified in the monitor’s rule base. The VM Monitor runs on Windows Server and monitors VMWare and Microsoft Hyper-V virtualization software performance. This is an uncomplicated tool that gives you headline news about your virtual environment, freeing up time for you to focus on other infrastructure. If your VM system is a little more complicated than one server, you will probably need to step up to the SolarWinds Virtualization Manager. Not only does this tool cover more than one server, it offers much deeper monitoring of conditions in the virtual environment. You are not limited to onsite VM servers with this package because it can also integrate Amazon EC2 and Azure servers into the monitoring environment. 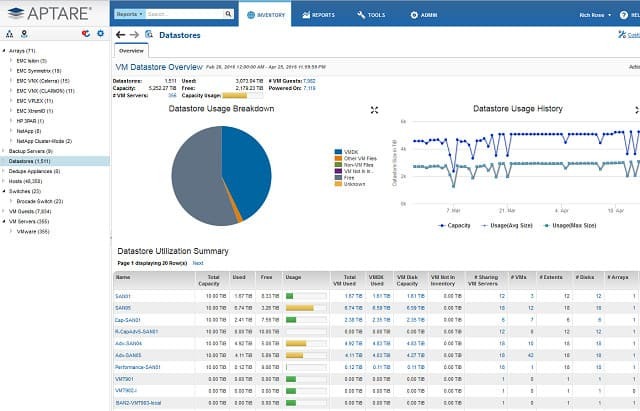 The dashboard of the Virtualization Manager shows detailed performance metrics and includes data visualization elements, such as dials and live performance line graphs. The system will show both VMWare and Hyper-V environments, keeping separate lists of the metrics on each supporting OS type if you have a mix of both systems running on your network. Alerts are color coded: yellow indicates warnings and red highlights critical conditions. A list of potential alert situations stands ready in a separate panel of the dashboard. This utility watches out for service conditions that have reached a point of performance impairment and approach a Warning condition. Key upgrades that this tool has over the VM Monitor include capacity planning assistance and “sprawl management.” A combination of these two tools gives you predictive recommendations. Thanks to this planning feature, you are better armed to head off overcapacity in one area of the environment and reallocate under-utilized resources in other areas of the system. A simulation module lets you test the effects of adding more users or applications to the network. This models CPU usage, memory availability, storage capacity, and network demands for a given scenario. The sprawl feature shows you where VMs are idle and allows you to power them off and reallocate the resources assigned to them. This is a really useful feature that helps get the most out of your budget and stop you mistaking dead processes for resource demand. At the other end of the spectrum, the sprawl monitor shows you which VMs are gobbling up all of your resources. This allows you to limit allocations to those nodes and also provides a starting point for investigations into inefficient software or system abuse. The Dashboard includes an Application Stack that simply shows layers of resources and the status conditions present on each. The stack is represented by lines of alert condition symbols for user groups, applications, databases, transactions, servers, and hosts. 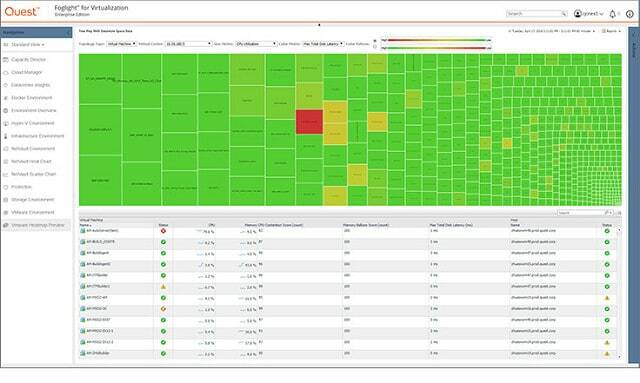 This enables you to quickly see where capacity issues impact application performance and quality of service. The Perf Stack feature of the Virtualization Manager is a utility available in a number of SolarWinds infrastructure management tools. So, if you have already used a different SolarWinds product, you may be familiar with PerfStack. This is a graphical equivalent of the Application Stack. It shows live data in a line graph for each resource in the virtual environment. You select each of the graphs that interest you and drag and drop them onto a board. This enables you to create your own stack showing how peaks and troughs in demand for one resource, such as a database or the network, impact the performance of other resources, such as application response times or CPU usage. The Virtualization Manager contains a lot of information and the summary views really come in handy to prevent you from being overwhelmed by data. You will soon become accustomed to the presentation format of the virtual machine monitoring dashboard and build your own working practices. These will see you switching between summaries and details and hopping over to planning tools in order to keep the virtual environment ticking over. SolarWinds Virtualization Manager doesn’t come cheap — prices start at $2,995. However, you can try the system out for 30 days free of charge. Paessler produces a great network monitoring system that covers both network device monitoring and traffic analysis. This service integrates functions to track VM performance. Although Paessler PRTG is a full-service network monitor, it does come in a free version. Paessler sets its prices on the number of sensors that the system monitors. A “sensor” is a service aspect, such as network speed, or a monitoring point, such as a port. PRTG is aimed at large networks, but the free version would be suitable for small businesses. The capabilities of the monitor give you the ability to monitor your whole network with this tool, not just the virtual environment. The underlying network traffic analysis works on typical messaging systems that are part of the firmware of the major network equipment manufacturers. Physical network devices are monitored via the SNMP system. PRTG extends network monitoring across sites and into the cloud. Server performance monitoring focuses on CPU load, disk usage, and network transmission speeds. Physical aspects of host machines that PRTG monitors include the server’s temperature, current power consumption, battery voltage, and fan speed. Those server metrics lead to service highlighting that will warn you of overloaded servers. With this knowledge, you can redistribute VMs across servers to gain a fairer load and better performance. You can set your own performance warning levels across server attributes. These custom alerts let you see which servers are overloaded. Warnings appear in the dashboard, but you can also have them sent by SMS, email, or through an API. Both the dashboard and notifications can be filtered to create custom views with limited controls for different team members. You can send notifications to different recipients according to warning source or severity. The free PRTG is limited to 100 sensors. You can also get a 30-day free trial of the full system, which has no limit on the number of sensors that you can monitor. 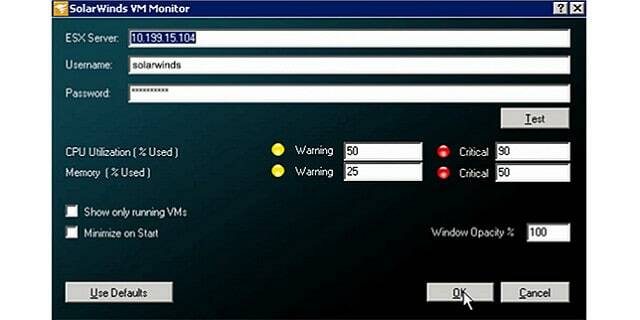 LogicMonitor is a network management system, but it integrates the monitoring of virtual environments. So, you can use it as a system-wide monitor or just limit it to monitoring your virtual machine implementations. The LogicMonitor system offers VMware vCenter monitoring, ESX/i hosts monitoring, and also covers individual VMs, including ESX and ESXi. LogicMonitor performs Microsoft Hyper-V performance tracking at both the hypervisor and individual VM levels. This system can also interact with Citrix XenServer technology. The software for this monitor is accessed in the cloud. It is platform-neutral and can monitor cloud-provided VM services as well as on-site systems. However, it’s not a completely off-site implementation because you need to install collectors on your servers and network devices. These collectors route through your gateway up to the central LogicMonitor server. All communications over the internet are encrypted, as is stored data on the LogicMonitor server. Information is decrypted in real time when accessed through a valid user account, which requires access credentials. The monitor starts with an autodiscovery process, which maps your entire network, including your XenServer, VMWare and Hyper-V implementations. The system extends to Amazon cloud servers and Microsoft Azure. The underlying technology of VM systems engenders a wide range of monitoring topics. In fact, in order to keep a VM system running, you need to watch hardware, operating systems, network performance, application and service execution, and, above all, resource utilization. You’ve got virtual switches to contend with, and you need to make sure storage and application servers do not overload and are accessible at acceptable delivery speeds. The LogicMonitor dashboard covers all of these issues. Hardware performance attributes that the VM monitor tracks include the overall health of your servers. They focus on memory usage, CPU load, disk latency, disk data rates, disk IO/ s, and VMkernel swap rates to keep the service level chugging along. System alerts can be sent out by email, SMS, or Slack notifications. You can specify which team members receive alerts by classification and by source. If you outsource part of your virtual environment, the support team of the provider can be notified automatically. The dashboard can be tailored according to role as well, so you can safely share consoles with all team members, even junior staff. A data-only view can be created to let finance and c-Suite members view events in the VM system. LogicMonitor is not free, but you can get a 14-day free trial to give it a spin. The package is available in three editions: Starter, Pro, and Enterprise. This scalability means that LogicMonitor is suitable for all sizes of businesses. Veeam One monitors network resources and examines the system utilization by VMWare vSphere and Hyper-V virtualization implementations. The monitoring power of the tool extends to cloud-based services. Veeam is particularly strong on system backup and recovery. The Veeam One service was designed to integrate with the company’s Backup and Replication Manager. The Veeam One system uses real-time monitoring round the clock. Those monitors check on 200 preset sensors, and you can add your own customized monitoring conditions and alert rules. A capacity module gives you insights into ongoing resource utilization as well as trend analysis based on historical data. The data gathering components cover all of the physical infrastructure that supports the virtualization and checks for capacity limit warnings. You don’t have to rely on the interpretations of the dashboard visualizations and reports provided by Veeam One because you also get access to raw data. This enables you to build your own customized reports, apps, and alert rules. Veeam One is a paid product. However, there is a free version. Veeam One Free includes all of the virtual machine monitoring capabilities of the paid system. There is no capacity limit on the free version of the system, which is rare in the industry. Veeam One Free doesn’t have the capacity functions included in Veeam One, though. The free version also lacks charge tracking and billing features. Both the free and paid versions display alert notifications on screen. These can also be sent by email, but only paid users can customize alert conditions. Veeam One is particularly effective for customers of the company’s backup server software. Tenant tracking also makes this a good choice for service providers, both for cloud storage provision and for software-as-a-service. If you think you would be better served by the full, paid Veeam One service, you can test it on a 30-day free trial. Foglight is a system monitoring system that has versions for cloud monitoring and VM environment management. The system works with VMWare and Hyper-V, focusing on the information gathered at the vSwitch, combined with physical performance data from the server. The system sets itself up through an autodiscovery function. It identifies servers and their client virtual machines, and it examines the traffic that passes between them to highlight network performance. The traffic analysis data gathering section of this tool examines packet-level data to identify which VMs and applications generate the most traffic. The Foglight system can also monitor Citrix XenApp and XenDesktop environments. The application monitoring dashboard gives you a display of all the elements in the Citrix VDI stack, highlighting strained infrastructure that could impact performance delivery. The system cleverly maps the topology of your virtual environment to help visualize the locations of each VM and monitor the physical traffic flows between servers and VMs. The monitor extends into management functions as well. You can set it to dynamically adjust resources allocated to each application or VM to account for underutilization or over-capacity in different areas of the network. 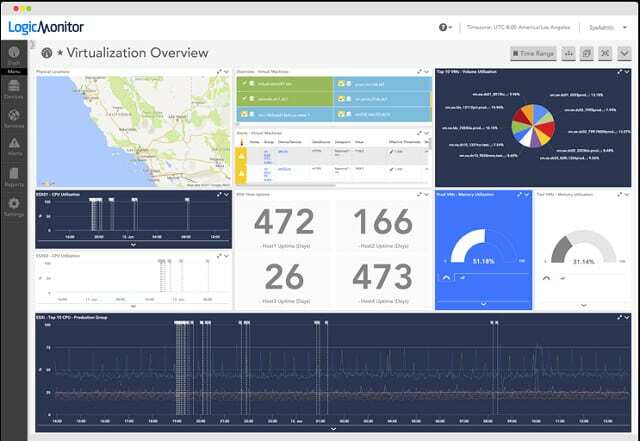 The monitor dashboard gives you a range of views on Citrix user session activity from overall VM count summaries through to application activity. The Foglight monitoring system closely tracks NetScaler performance and network latency. The load on physical devices and virtual switches are other considerations. The Foglight monitor identifies inactive VMs and lets you remove zombie processes to free up resources. This is a great feature because, unfortunately, the VM environment is prone to hanging processes and abandoned sessions that leave locks on resource allocations behind. The Foglight system explores and stores data to build up a test bed. The dashboard will show trend and variant performance and isolate data for each hardware element of your system. This helps discover bottlenecks and resource misallocation. The data patterns and regular usage statistics give you a capacity planning function. With this tool, you can identify where to adjust the allocation of resources to improve performance and work out the effects of increased demand. The Foglight monitor includes predictive capabilities that suggest actions to resolve alert conditions. This will also work with live data to help adjust network utilization on the fly. If you operate a multi-vendor environment with both VMWare and Hyper-V software operating on site, you can unify your monitoring and management tasks in one place with the Foglight system. The monitor extends to cloud storage, so you can vary capacity by adjusting extra offsite provisions, such as additional storage. Quest Foglight is not free. However, you can access a free trial to get a feel for the system. Foglight runs on Windows, Linux, and Solaris operating systems. The eG Enterprise monitoring system covers VMware vSphere, Citrix XenServer, Microsoft Hyper-V, Oracle VM Server, Red Hat Enterprise Virtualization, AIX LPARs, Solaris Container virtualizations and their supporting infrastructures. The big selling point behind eG Enterprise’s VM monitoring is that checking on server memory and CPU utilization doesn’t give you the whole picture of virtualization health. You also need to see issues that arise on the network, on the storage server, in the database, or within the virtualization platform software. The interface for the system is browser-based. It includes graphical displays, lists of live data and alerts, and sections to assist with capacity planning. The links between resources are mapped in the dashboard when you install the system. eG Enterprise is particularly strong at identifying resource interdependence. Examples of these relationships include application and VM platform interaction and the underlying physical infrastructure needs of the VM software. That baseline informs the rule base of eG Enterprise on alert conditions that impair the performance of the environment. Not only will you receive alerts that the response times of a particular VM is slow, for example; you will be notified if the database is overloaded and whether that is causing a particular VM to perform poorly. The ability to identify the root cause of performance issues at the lowest levels gives eG Enterprise its power. This means you don’t have to waste time back-chaining through stack layers in order to work out what is going wrong. Multi-vendor environments are common and eG Enterprise unifies the monitoring of the provision stack for a wide range of possible combinations of virtualization systems. So, you will see each of the platforms individually, but the underlying resources that support several environments are monitored for total demand, not on a platform-by-platform basis. The benefit of the unified stack approach is that it lets you see which VM hogs resources and makes the going tough for the rest of the network. The dashboard includes a great color-coded stack diagram that shows the coexistence of platforms at the supporting levels. EG calls this its in-n-out monitoring. The outside view shows all of the VMs in bands sized in proportion to each service’s resource usage. The inside view shows each layer of the stack with each VM’s usage at that level side by side, again, in proportion. Another nice visualization feature of eG Enterprise is a workflow-style diagram that traces all of the resources needed by a virtual machine and, in turn, the resources that each supporting feature requires. Each element in the chain shows its status. So, if one of those nodes shows an alert, then you know exactly where to go in order to get that VM back in good health. The VM monitoring market is crowded with some very impressive tools provided by some very big software houses. The eG Enterprise package has some really useful features that the big guys lack. So, this little guy packs a punch and deserves its place among the top providers of VM monitoring systems. There isn’t a free version of eG Enterprise, but you can get a free trial. ManageEngine is one of the world’s major providers of resource monitoring software, but it has had a few stumbles in the VM monitoring market over the past few years. The company’s indecision on how it wants to deal with virtualizations weakens its position in the market and loses it the top spot that much of its software deserves. The company has created standalone virtualization packages in the past, but these have fallen by the wayside. Now, its virtualization functions are spread across two monitoring tools: Applications Manager and OpManager. This split of monitoring tasks complicates matters. In order to get the full spectrum of VM monitoring with ManageEngine, you would probably have to get both OpManager and Applications Manager. The good news is that these two utilities are built on the same platform. They integrate seamlessly and can even share data. Both OpManager and Applications Manager will run on either Windows or Linux. 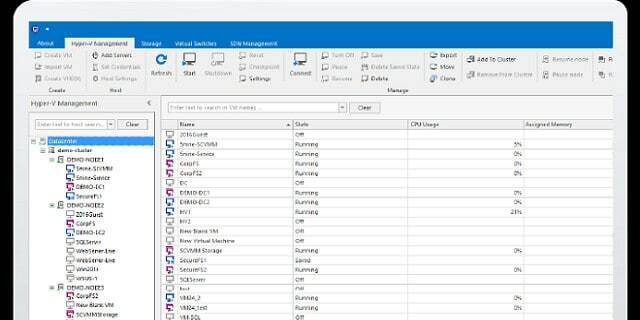 You can get a free version of OpManager to monitor up to 10 devices. The dashboard of Application Manager includes several panels. The main communication medium in the dashboard consists of line graphs based on live data. The interface includes a large number of screens that all either contain lists of events or graphic representations such as pie charts, line graphs, and histograms. The system sets up automatically and maps all of the applications operating on your system. The mapping function shows resource dependencies, and that feature is particularly useful for virtualization monitoring. The physical infrastructure, the onsite network, internet connections to cloud services, and the health of network devices are also included in the Applications Manager’s remit. This view sits on top of system alerts from network equipment gathered by OpManager. The monitor includes a capacity planning module that creates trend and variance maps from historical data. This enables you to spot specific applications and VMs that are using up resources. You can also simulate the consequences of adding demand to the system. If you only pick either the Applications Manager or OpManager, Applications Manager is likely a better fit. The underlying network performance is of interest, particularly as you can get virtualization network usage views in OpManager. However, Applications Manager gives you many more layers of information and contains details of system activities that OpManager just doesn’t cover. Applications Manager is considerably cheaper than OpManager as well. Aptare Virtualization Manager focuses on the storage servers that operate in virtualized environments. This tool will monitor storage usage in your virtual network and report which VMs are using up capacity. The interface for the Aptare Virtualization Manager includes a planning tool. This tool can predict storage capacity needs based on historical data. The monitor also keeps track of VM access to storage and identifies potential bottlenecks and access contention. Management functions extend to the identification of rogue processes that lock up storage allocations. You can use this management tool to free up space allocated to hanging processes, making it available to the other VMs in the environment. Aptare Virtualization Manager is available for use with VMWare products: ESX, ESXi, vSphere, and vCenter; Amazon Web Services: Amazon Elastic Compute Cloud (EC2), Amazon Simple Storage Service (S3), Amazon Billing Records; Microsoft Azure: Virtual Machine, Disk, Table and Queue Storage, Blob Storage; and OpenStack-compliant servers. Although this tool has limited functionality, it will come in handy if you feel your current VM monitoring utility doesn’t give you enough detail on storage management. Monitoring VM environments is complicated. You need to check on both infrastructure and software and monitor every element constantly in order to prevent performance impairment. WhatsUp Gold covers all of the angles that you need to watch in order to successfully maintain virtualization. The core WhatsUp Gold software implements network performance monitoring, keeping an eye on the devices that connect your network links together. However, there is a lot more that needs to be tracked in order to keep your VM system up and running. The Virtualization Monitoring add-on will cover those extra tasks. A key feature of the add-on is an extension of the network discovery function of WhatsUp Gold. This will apply to all VM components the processes of mapping connections and dependencies that the main package applies to network devices. The system check gives WhatsUp Gold a baseline and from that, the add-on builds a map that shows the application stack that supports each VM. You will be able to see which servers support which VMs and the status of server attributes and virtualization server software. As your VM system proceeds into normal operations, the add-on will continue to monitor performance, looking out for potential failure in software, servers, and the network. Data collected by WhatsUp Gold is shown in real time in the dashboard and it also gets saved as source information for analysis functions. With those planning tools you can work out whether any of your servers are overloaded and take appropriate action. WhatsUp Gold and the Virtualization Monitoring Add-on can be bought together with the Ipswitch Application Performance Monitoring Add-on in the Systems Admin’s Bundle. The WhatsUp Gold Total Plus package gives you the core application together with all of its add-ons. Whichever way you choose to acquire WhatsUp Gold and the Virtualization Monitoring add-on, you can get them on a 30-day free trial before you commit to buy. VMWare produces a free environment to its ESXi systems, which is the ESXi Embedded Host Client. The client’s interface is browser-based, and so it is operating system-neutral. Also, you need to have the VMWare software installed and operating in order to use this monitoring tool. It won’t work with Citrix or Hyper-V systems. This utility is not feature-rich and it won’t give you the full system monitoring capabilities of the other options on this list. However, it would be suitable for small-business virtualization implementations and lab scenarios. The tool offers an enhanced interface to your ESXi clients. You can set up new VMs through this utility and configure the hosting for each. The monitoring aspect of the tool gives you insight into host statuses. It will also list live data on events occurring in the VM environment. This is a simple tool, but the fact that it is free and that it comes directly from VMWare will tempt you to install it. The growth of the cloud in the provision of virtual environments can be seen by the product presentation of Turbonomic. Until recently, VM products prioritized on-site resources and then maybe dealt with Cloud-based services. In Tubonomic’s case, the tool is headlined as a utility to monitor Cloud resources. Oh, and by the way, it can also watch any onsite VM servers you might have. Turbonomic doesn’t skimp on onsite VM monitoring, and the system can cope very well with hybrid implementations. This very comprehensive monitoring tool for virtual environments comes in three packages: Essentials, Advance, and Premier. Although this monitoring software is not free, you can get a 30-day free trial of the Premier package. Pricing is based on the number of workloads that the monitor covers. The Essentials package has a limit of 750 workloads, but the other two editions have unlimited capacity. The monitor integrates controlling mechanisms and integrates AI into its action recommendation processes. You get more automation with the higher plans, but all editions include capacity planning capabilities. Turbonomic’s straightforward monitoring module includes great visualization features like charts and graphs. The tool can interact with VMware, Hyper-V, and XenServer environments. The setup process is automated and finishes with a system health check. This scan by the Turbonomic engine maps all of your virtual environment. It finishes its onboarding with a list of recommendations on where your system problems lie and how you should resolve them. Once that initial phase completes, Turbonomic continuously monitors the environment, producing alerts on the dashboard, backing them up with action recommendations. You can set an action rule base in the higher editions of Turbonomic to automatically perform resolution when specific alerts arise. That automation is optional and you can launch recommended actions manually, or ignore them if you wish. This is a good tool for departments or services that adhere to service level agreements. Those SLAs can be translated directly into the monitoring system as quality of service requirements. You can set alert levels for aspects of service including response times for delivery and transaction throughput for billing. The monitor allows you to reallocate resources to different application or user groups and highlights areas where expansion of cloud resources is inevitable. On the flip side, the Turbonomic AI engine will show you where you have over-provisioned, giving you the opportunity to scale back online services and cut costs. That capacity visualization also extends to planning functions. The interface provides a capacity testing section where you can preview the effects of extensions to the user base or the inclusion of new applications and services. This is a great planning tool for bidding processing because it will enable you to plan out your extra services more effectively. The dashboard for the monitor is customizable and you can allocate different views and controls to members of your team. The ability to create a user interface that does not include any controls at all gives you the option of letting clients or directors access the system without risking damage to your VM setup. 5Nine aims at data center implementations on the Microsoft Cloud Platform. So, if you want to use VMWare, then this product probably won’t be for you. If your virtual environment is all Hyper-V, then read on. 5Nine integrates cloud-based Azure servers into your VM infrastructure seamlessly. This is a good solution if you manage data for other companies because you can identify demand down to the tenant, examine the performance of each host, and track user activity. The dashboard of this service is highly customizable, which allows you to create different user accounts with different access rights. This is another feature that appeals to businesses that host services. You can give a limited dashboard to customers and enable them to manage their own VM allocation. Other views can be given to team members at different levels of seniority in your own group, and it lets directors and other interested parties within your company see live views of performance data. Customizable reports enhance the data sharing features of this package. 5Nine has tailored its product so that it specifically checks all of the boxes needed by a service provider. However, if you run an in-house facility, the resource allocation monitoring features certainly won’t harm any SLA and cost-center policies that your company operates. The 5Nine Manager is a paid service, but you can get a free trial. This review has given you a wide range of VM monitoring tools to choose from. Which is the best for you? That will be dictated by your circumstances. Some VM monitoring tools are really system-wide infrastructure management systems that feature great virtualization functions. Other tools in the list are just small utilities that enhance your view of VM data or improve just one aspect of VM performance. VM tools provisioning is a very broad field. SolarWinds covers both ends of the spectrum by supplying a small, free tool and a “bells and whistles” monitoring system. Paessler and ManageEngine also try to cater to all points in the market. Some of the small players offer fantastic products that are bound to appeal to the small- and middle-sized enterprises, but also offer capabilities that could really help businesses with large and complicated virtualized networks. As you will glean from the statements in this report, the network monitoring industry is in transition at the moment. Ten years ago, virtualization was in its infancy and cloud services were a new trend. Both concepts now dominate networked services. It is not impossible to predict that, very soon, cloud services and the virtualization technology that makes them possible will be the standard method of network provisioning. The complexities of on-site server and application management will be a thing of the past. Do you have recommendations for VM monitoring tools? Do you use a virtualization monitoring system that we’ve overlooked? How do you think the job of a systems administrator will change as cloud services grow? Leave a message in the comments section below and share your thoughts with the community.